`The first time Shocks saw Amber coming, he lowered his head so she could wrap her arms around his nose. It was as if they understood each other's pain. Like two broken beings, helping each other.' When Shocks the donkey was left for dead on a farm in Ireland, no one ever thought he would make a full recovery. When Amber and her twin sister Hope were born 26 weeks premature, it was Amber who was separated from her family and rushed into theatre for an emergency tracheostomy. Her parents were given the devastating news that she had Cerebral Palsy and would be unlikely to walk or talk. 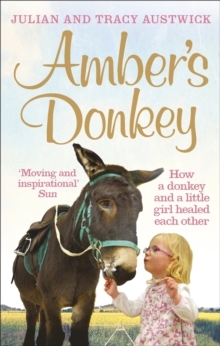 Then Amber met Shocks at the Donkey Sanctuary and their lives were changed for good. This is their touching story of recovery through friendship.